Happy anniversary Visual Studio, and congratulations to the whole team on VS 2017, and a particular shout-out to my Roslyn friends. I can’t wait to take the new C# and VB out for a spin. Nicely done everyone. 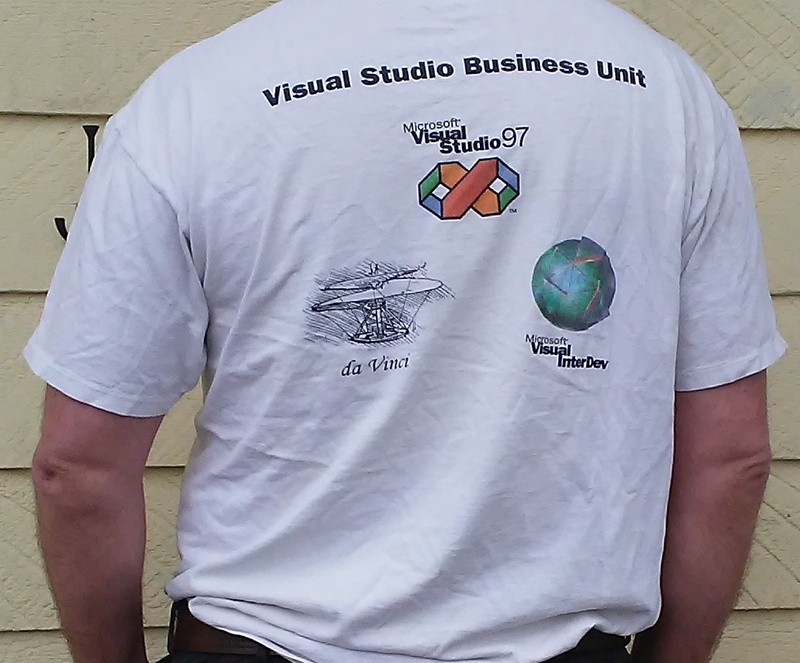 Even readers who were following Microsoft dev tools in 1997 would be forgiven for not knowing what the “Da Vinci” is on my shirt. It is a little-known fact that I was on the Da Vinci team for about five minutes. I’ll tell a funny story about that, but some other time. Sorry for radio silence this past week; it has been crazy busy at work. I’ll finish off my excessive explanation series soon!